Yale Li has been volunteering for the CSA since 2010. He is currently Chairman of CSA Greater China Region and its Security Coordinating Body. Previously, he served as the Chief Strategy Ambassador and Strategy Advisor for CSA Global, CISO Submit Program Committee Member for CSA APAC, Board Member & Research Director for CSA Seattle Chapter, and Lead/Member for several CSA Workgroups. He is one of the earliest CCSK credential holders. Yale is a global security thought leader in both industry and academia. 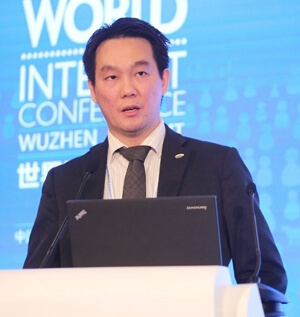 With a focus on European governments and telecommunications companies, he has provided technical leadership at Huawei in China since late 2014 as the Chief Cyber Security Expert (VP Level) to cover cyber security evaluation, international CSO, cloud computing and CEO advisory roles. Prior to Huawei, he had been with Microsoft in US for 16 years as the Global Chief Security Architect and China CISO, and worked in areas such as Information Security, Cyber Security, Cloud Security, Windows R&D, and Internet Ops. He came to Microsoft from IBM in Canada where he was the Chief Technology Architect. Yale is currently Senior Fellow & Adjunct Professor at Xi’an Jiaotong University and Visiting Professor at Nanjing University of Telecommunications & Posts. He was also Ph.D. Supervisor at University of Washington, Honorary Professor at Peking University, and Visiting Scholar at Beihang University. 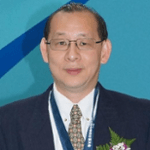 He was the ICCSM Programme Chairman, RecordsInTheCloud.Org Collaborator, and advisor/speaker for several government agencies and labs such as US Nist and China CEPREI Certification Body. Yale had background in Physics as research assistant to CERN’s Nobel Prize and Rutherford Medal laureates. He has also authored several books and many articles. 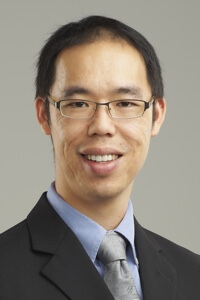 Dr Ryan Kok-Leong Ko is Head of Cyber Security Lab and Senior Lecturer at the University of Waikato, New Zealand, Affiliate Faculty Member at Idaho State University, USA, and Asia Pacific Research Advisor for the Cloud Security Alliance. In 2013, he established New Zealand’s first Master of Cyber Security, and NZ’s first university-led cyber security graduate research programme with the Cyber Security Lab at the University of Waikato. Waikato’s Cyber Security Lab also hosts the NZ Cyber Security Challenge since 2014. Dr Ko is recipient of the University of Waikato’s Early Career Academic Excellence, Nola Campbell Memorial ELearning Excellence, and the 2014, 2015 Faculty Teaching Excellence Awards. Recipient of the inaugural Cloud Security Alliance (CSA) Ron Knode Service Award in 2012, Dr Ryan Ko has served as a CSA APAC volunteer since CSA’s beginnings, including pioneering research via the formation of the CSA Data Governance Working group, CSA Cloud Vulnerabilities Working Group, and as curriculum and examination co-creator of the (ISC)2-CSA Certified Cloud Security Professional (CCSP). Dr Ko is principal investigator of the MBIE-funded NZ$12.23 million (incl. GST) STRATUS research project – NZ’s largest scientific research grant in the field of computer science. Dr Ko publishes extensively, in indexed academic journals, ranked computer science conference proceedings, international patents, and most recently, co-edited the book on “The Cloud Security Ecosystem – Technical, Legal, Business and Management Issues” with Elsevier. Dr Ko also leads virtualized server security standardization as a technical committee member of the ISO/IEC JTC 1/SC 27 and SPRING/ IDA IT Standards Committee SPSTC. 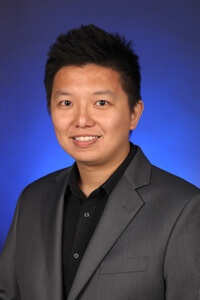 Prior to his academic career, Dr Ko was a lead computer scientist with HP Labs, leading security innovation and technology transfers for cloud data provenance solutions deployed across USA, EU and Asia. He serves as a technical advisor and board members to NZ listed companies, startups and international organisations, including the NZX-listed LIC, NYRIAD Ltd, and the INTERPOL. Dr Ko holds a B.Eng. (Computer Engineering) (Hons.) and a Ph.D. with the Nanyang Technological University, Singapore, and is member of the IEEE, ACM and the Royal Society of New Zealand. Co-founder and chair of the Cloud Vulnerabilities Working Group and the CSA Cloud Data Governance Working Group; spearheaded the formation of the CSA APAC Education Council, contributed to several key research papers; acted as an SME representing CSA in the creation of the CCSP certification. Benildus provides senior advisory services in area of Information Technology with a concentration on Information Security and Risk. Currently with Ericsson, Benildus worked in IBM, Fidelity Investment, Comodo etc in a career spanning 14 Years. Benildus is the founder and chairperson of the CSA Bangalore Chapter, one of the biggest chapters for CSA worldwide. Dr. Steven Wong is an Associate Professor and Programme Director at the Singapore Institute of Technology (SIT) where he heads the undergraduate ICT degree programmes. He spearheaded one of SIT’s flagship degree programmes in Software Engineering in 2014 and also leads the first Information Security degree programme offered by an autonomous university in Singapore. Steven obtained his undergraduate degree with 1st class honours in Computer Engineering from Nanyang Technological University (NTU) and his PhD in Informatics from the University of Edinburgh. Steven have over a decade of academic and industry experience, and was involved in several multi-million dollar funded research projects. Currently, Steven is also serving as a board member of the Cloud Security Alliance (Singapore), an Executive-Committee member of the Association of Information Security Professionals and is a committee member of the Singapore Computer Society Infocomm Security SIG. He is also currently the Chairman of the IEEE Consumer Electronics (Singapore) Chapter. 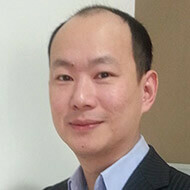 Dr Raymond Choo is a Senior Researcher at the University of South Australia. He has co-edited “Cloud Security Ecosystem” (Elsevier 2015), and (co)authored two books (Springer 2008; Elsevier 2014 – Forewords written by Australia’s Chief Defence Scientist and Chair of the Electronic Evidence Specialist Advisory Group), seven Australian Government refereed monographs, 15 refereed book chapters, 77 refereed journal articles, 51 refereed conference articles and six parliamentary submissions. He has been a Keynote/Plenary Speaker at conferences organized by Infocomm Development Authority of Singapore, A*Star, Nanyang Technological University and Singapore Management University (2015), CSO Australia and Trend Micro (2015), Anti-Phishing Working Group (2014), National Taiwan University of Science and Technology (2014), Asia Pacific University of Technology & Innovation (2014), Nanyang Technological University (2011), and National Chiayi University (2010). More recently in 2015, he is an Invited Expert at events organized by UNAFEI, INTERPOL and Taiwan Ministry of Justice Investigation Bureau, and the Special Issue Guest Editor of IEEE Transactions on Cloud Computing “Cloud Security Engineering”, IEEE Cloud Computing “Legal Clouds”, Future Generation Computer Systems “Cloud Cryptography”, Journal of Computer and System Sciences “Cyber Security in the Critical Infrastructure”, Pervasive and Mobile Computing “Mobile Security, Privacy and Forensics”, Digital Investigation “Cloud Forensics”, Multimedia Tools and Applications “Multimedia Social Network Security and Applications”, ACM Transactions on Internet Technology “Internet of Things (IoT)”, and ACM Transactions on Embedded Computing Systems “Embedded Device Forensics and Security”. In 2009, he was named one of 10 Emerging Leaders in the Innovation category of The Weekend Australian Magazine / Microsoft’s Next 100 series. His other awards include the Highly Commended Award in the 2014 “Best Chapter in a Book” Category by Australia New Zealand Policing Advisory Agency, 2010 Australian Capital Territory Pearcey Award, 2009 Fulbright Scholarship, 2008 Australia Day Achievement Medallion, and British Computer Society’s Wilkes Award for the best paper published in the 2007 volume of the Computer Journal. He is a Senior Member of IEEE and the Australian Computer Society. Wee Meng Thoo has held various business leadership positions in HP, Oracle, VMware, Ooredoo (formerly QTEL) and NEC in the ICT industry with 20 years of experiences across Asia Pacific and Middle East region. He currently runs an incubation firm working with private equity institutions engaging with Technology and non Technology firms in Tech Start up Business, Reinventing Business through Technology adoption, Restructuring Organization, Reach to Markets Globally and helping them realized their Exit Plan, be it Buyout or IPO. Prior to this, Wee Meng Thoo was serving as the Chief Commercial Officer in NEC-STEE Cloud Service, a joint venture company between NEC and Singapore Technologies. He was instrumental in building the company from scratch into a formidable Managed Cloud Services Provider in Asia. Wee Meng Thoo is also serving as the Senior Advisor to the Administration Commission for Software Park in Fujian Provincial Government in China since 2007, advising on IT export initiatives for Chinese Fujian based ICT Enterprises going Global. 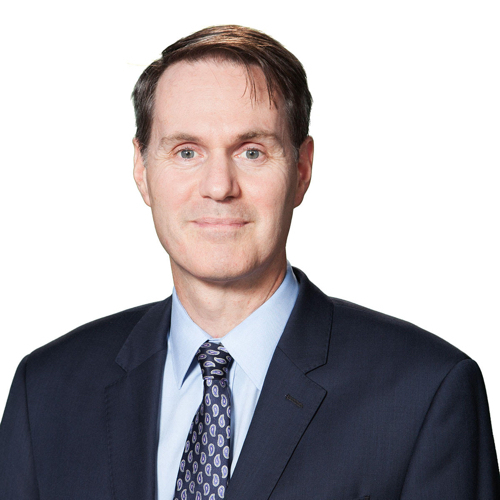 Richard is Audit Director for Technology at the Australia and New Zealand Banking Group (www.anz.com) and is based in Australia. A founding board member of the Cloud Security Alliance (CSA) Australia Chapter, today he serves as the Chair of the CSA A/NZ Regional Coordinating Body and the Chair of the Melbourne Chapter. Concurrently Richard is the founder/president of the (ISC)2 Melbourne Chapter. Richard has more than two decades of professional experience in the Asia-Pacific with international organisations and has spoken at CIO Summit Australia, PacSec and DatacentreDynamics Converged. His professional interests include technology, information security, cloud security, technology audit and transformation, data protection and security program management. He is Certified in the Governance of Enterprise IT (CGEIT), as well as a Certified Information Systems Security Professional (CISSP), Certified Information Security Manager (CISM) and Certified Information Systems Auditor (CISA). He previously held the role of Senior Manager at EY including several years as EY’s Information Security Lead for the Japan Region, providing guidance and information security advisory to multi-national companies. He speaks and writes Japanese and is the author of several publications in Japanese and English.